Pepper Cottage provides quiet, comfortable bed and breakfast accommodation in the heart of the Cotswolds. Part of this attractive, thatched home - a crofter's cottage - dates back to the late 1500s. The village shop and popular pub are a five minute walk from the cottage and many fine places to eat are a short drive away. Kemerton, near Tewkesbury, is a small and charming, farming village in a designated area of outstanding, natural beauty on the slopes of Bredon Hill. 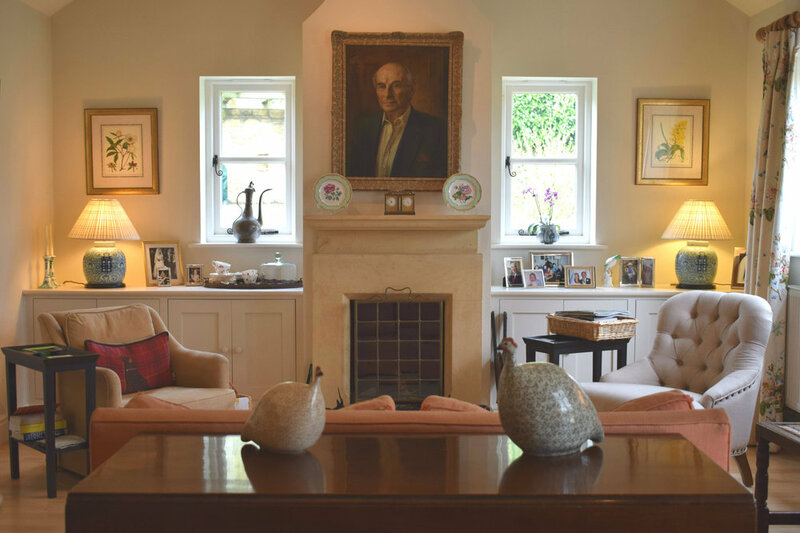 The beautiful gardens, houses and villages of the Cotswold Hills are all within easy reach, as well as stunning walks and rides and, of course, the plentiful attractions of Cheltenham, Broadway, Malvern and Stratford. The Master Bedroom, with ensuite bathroom, approached through its own dressing area. The Cosy Room with adjoining shower room. This room is quite small and is best for a single person or two children. Use of the Drawing Room and garden. A choice of traditional or continental breakfast. An attractive garden and enjoyable walks up Bredon Hill with stunning views. Ample parking by the house and in the orchard with secure storage for bikes and facilities to hose down. Tea and cake available on arrival and a hot drink tray supplied in your room. Raffles is our batty, rescued Yorkshire Terrier. Unfortunately, we are unable to accommodate additional pets. "Pepper Cottage epitomises why Sawday is the 'Bible' for the discerning traveller. Quite simply the best hospitality we have experienced in forty years of travelling in the U.K. Toushy is a charming host and the cottage is absolutely delightful. We will certainly be back." Pepper Cottage is a charming thatched cottage dating back to the 1500s. The garden surrounds the house with rolling lawns, herbaceous borders, a gentle stream and small pond. The old orchard grows apple, plum and cherry trees with beautiful blossom in Spring and delicious fruit in Autumn.